Upgrading to the new town hall level is always exciting. Most of the players don't know what they should upgrade first at new town hall level. In order to progress faster, you need to know the right upgrade order. 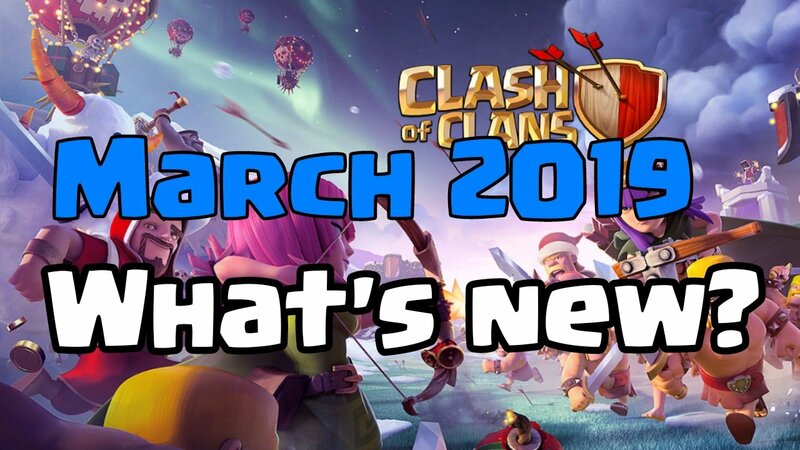 TH9 unlocks a lot of new exciting upgrades, troop levels, and a new hero. Let's discuss the first upgrades you should focus on whenever you just start your TH9 base. There are very important offense buildings that you need to upgrade absolutely first on day one. The laboratory will always be a day one upgrade because all the new troop upgrades and spell upgrades are incredibly important. So it should be done on day one. If you have not upgraded your laboratory yet, make sure you do that. We will later discuss troops and spell upgrades too. 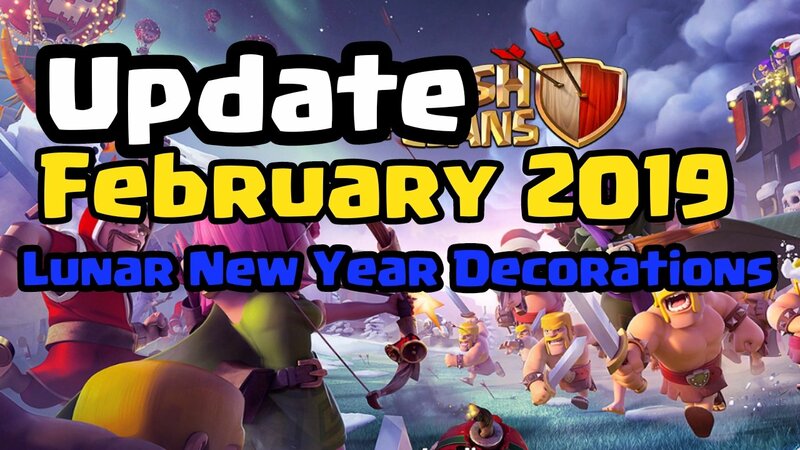 Following the laboratory, it's important to note that the Archer Queen is now available and it really should go down onto your base on day one because it is a zero second upgrade. You don't need to wait for her. She will be instantly on the base and she adds a ton of damage on both offense and defense. Try to take her to level 5 as soon as you can, that way you can unlock her ability. Along with Archer Queen, you get 20 new levels for Barbarian King. Both the Archer Queen and Barbarian King can go to level 30 now as a TH9. It is highly recommended that you max out your King and Queen before you go to town hall 10. Therefore focusing your dark elixir on your heroes is incredibly important. A TH9 gets extra gold storage, elixir storage, gold mine, and elixir collector. Put these new storages as soon as possible and upgrading them will help you a lot in some of the offense upgrades. Take those new gold mine and elixir collector to the level of older mines and collectors. it is also recommended to upgrade dark elixir storage and drill as you will need a huge amount of dark elixir for hero upgrades. Clan castle upgrade will unlock an extra 5 troop spaces from 25 to 30. Now you can hold a Golem in your clan castle or you can hold a lava hound or an extra giant or whatever you want to carry. Going into 30 is incredibly good and powerful. 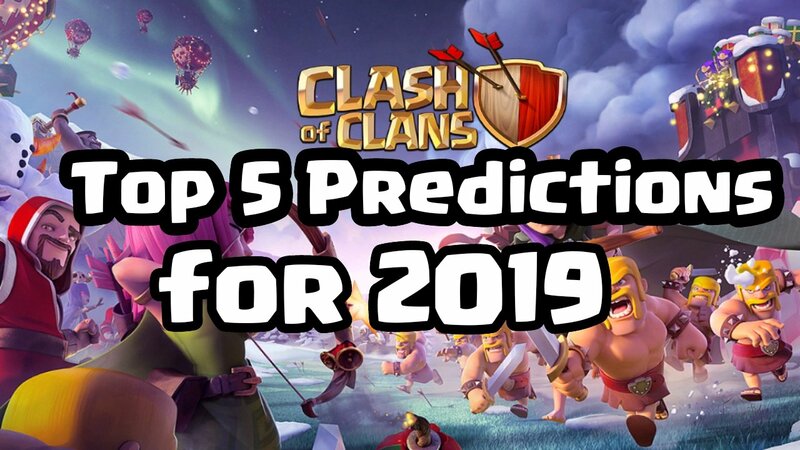 It is recommended to get the clan castle upgraded as soon as you can. Army camps are the most important buildings on your base. At TH9 you get extra 20 troops that can make a great difference in the battle. It is recommended to start upgrading your army camps on day one. If you have 5 builders, use one on laboratory, one on resource buildings, one of clan castle and one on your army camps. Still, you have 1 builder in hand. Let's go to the next upgrades. Spell factory upgrade will unlock both the jump spell and freeze spell. Jump spell is very important when you face your fellow maxed out TH9s in clan wars. Also, the spell factory upgrade adds two extra spaces for another elixir spell or two dark spells. The spell factory upgrade is extremely important if you want to do better in wars. The freeze spell would be only level one so it is not really a highlight but that jump spell and extra capacity is incredibly important for new TH9. Dark spell factory receives two upgrades and that is going to unlock both the haste spell and skeleton spell. Haste spell is extremely important for Loonian or LavaLoon attacks. Skeleton spell doesn't hold that much value but it is very useful on certain bases with rage spell for taking out an enemy queen. It is highly recommended to upgrade your dark spell factory as soon as possible. Barracks get a new level which unlocks baby dragon. The baby dragon is one of the most useful troops for farming and war. It is can be really useful funneling troop too. You definitely want to unlock the baby dragon and upgrade your barracks. Upgrade them one at a time that way you are not hindered too bad in raiding or farming. Darks barracks gets two upgrades which unlock both the witch and the lava hound. It is recommended to use both of these. Witch slap is one of the most powerful attack strategies for TH9 nowadays. Lava hounds can be used for LavaLoon or GoLaLoon attacks for war and trophy pushing. Try to upgrade your lava hound to level two as early as possible. 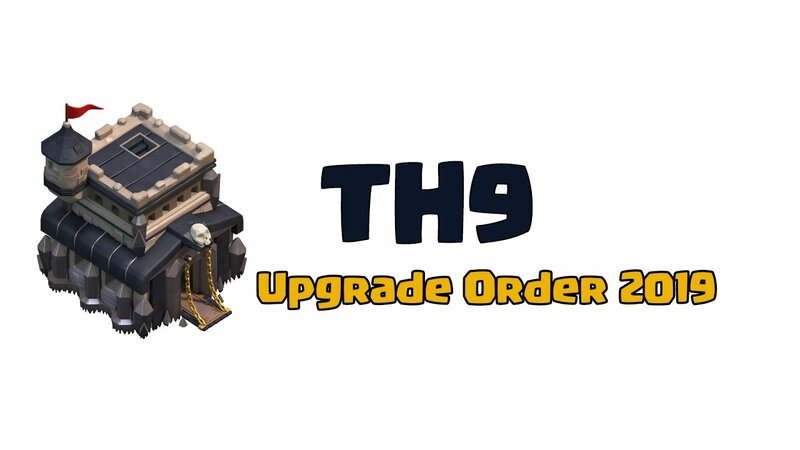 This upgrade will benefit you so much on your TH9 base. These offense upgrades are going to take a lot of elixirs and dark elixirs. My recommendation is that you should drop down to the Gold league and do some Barch. You will get a new giant bomb and two new seeking air mines. They are zero second upgrade so just put them on your base and upgrade them later. At TH9 you get new walls. I recommend to put them on your base and keep using your extra gold on them. 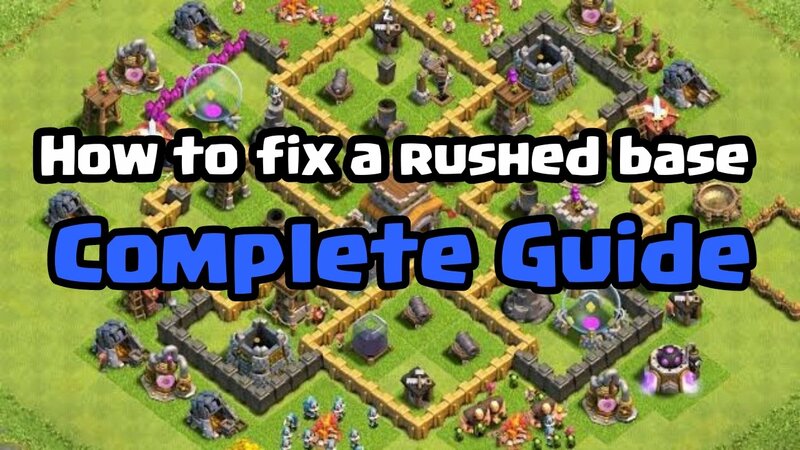 Take them to max TH8 level so they won't look ugly and it will enable you to build more complex bases. 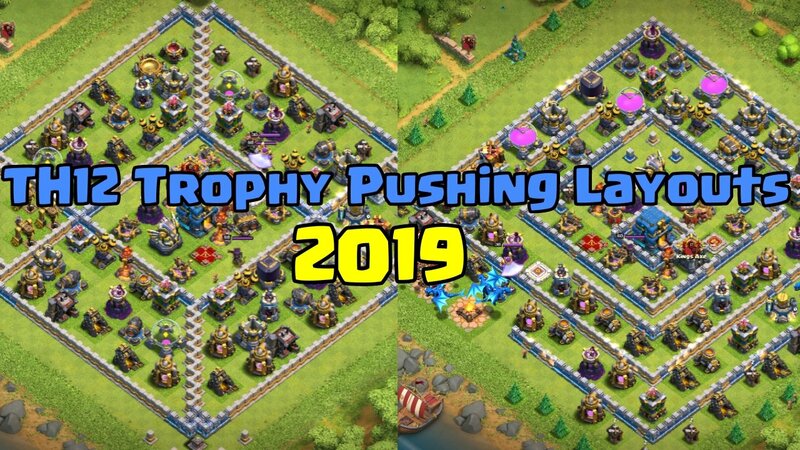 At TH9 we get 5 new defenses and those new defenses are actually all air targetting because air attacks are too powerful at TH9. The idea behind the new town hall is to get stronger so putting in the new defenses is actually the quickest and best way to add more damage on to your base. In the past, I recommended delaying these new defenses because of what's called "War Weight". The current way the war match system is set up, delaying these defenses won't benefit you. Put them on your base and get them to max TH8 level so they would match the other defenses. A lot of you might be thinking " Where is the x-bow?" Well, the x-bow is a special consideration because it is a heavy war weight. It would affect the war matchmaking a bit so it is better to delay it for now. Let's move to the defensive part of the guide. Air attacks are a great threat to new TH9 bases. A lot of TH9 players use air attacks as they are easy to execute. It is recommended to upgrade air defenses to max TH9 level. It doesn't matter how you upgrade them. You can put all of them to upgrade at the same time but it will make your base more vulnerable. It would be better to upgrade two air defenses at a time but you can upgrade them in the way you like. If you have both of your heroes at level 10, build your x-bows. Upgrade your x-bows to level 2 once your heroes are level 15. Upgrade your x-bows to level 3 once your heroes are level 20. This will help you in controlling your war weight and make sure that you are able to three-star the bases of your weight. There is a very well-known quote, "If you can't 3 it, don't build it". At TH9 you get level 7 wizard towers. Upgrading wizard towers can help you in stopping air attacks. They can do a significant amount of damage to a bunch of balloons. I recommend you to start upgrading wizard towers along with x-bows. After wizard towers, now it's time to start working on wizard towers. I always prioritize archer towers above other defense because they attack both air and ground units and have a significant amount of range. Cannons are also important defensive buildings. They can be really helpful in stopping ground troops. Hidden teslas can a great surprise to attackers. Despite having a short range they do a lot of damage. I recommend you to upgrade them as soon as possible. Bomb towers are always a good upgrade. They can't be neglected. They do a huge amount of death damage when destroyed. Mortars are also important in protecting your loot from raiders. They can be useful in stopping GiBarch attacks. Air sweepers can change the result of an air attack. 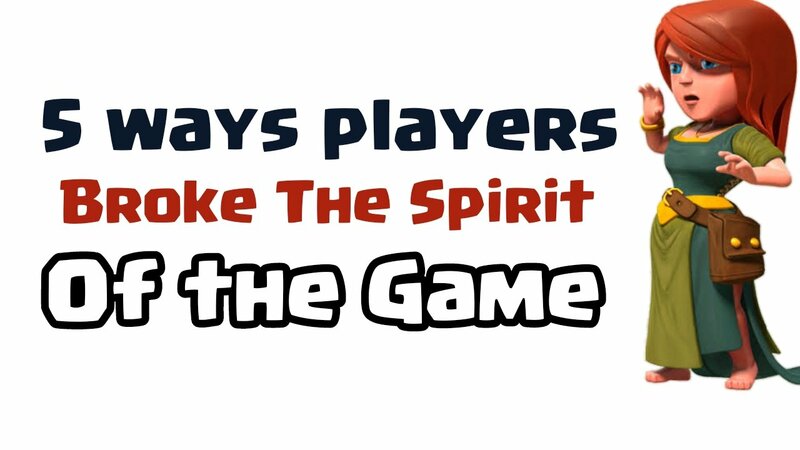 They can ruin opponents attack. I put them on the last because TH8 air sweepers can do the job too. It is recommended to keep using you extra gold on your walls. Walls are extremely important to defend against any type of ground attacks. They can slow down the enemy. Upgraded walls make your base look pretty. That's all. It takes 6 months to max out TH9 base ignoring the magic items. Good luck with your new town hall level. Clash on! 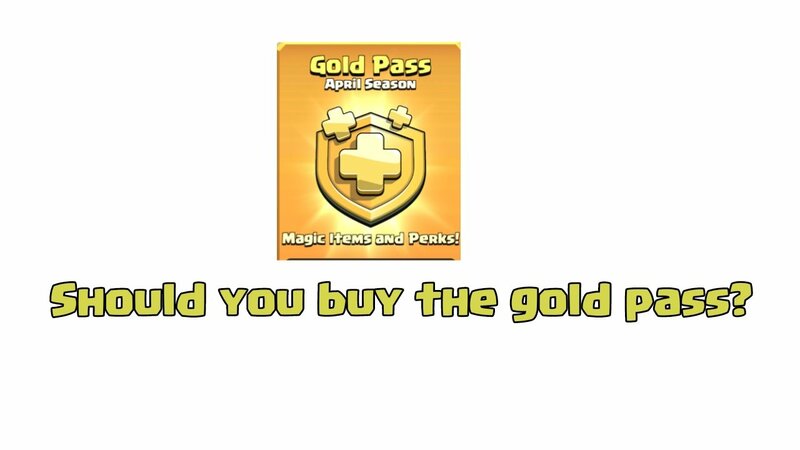 Clash of Clans: Should you buy the gold pass? You can also write guides for us. Your guide will be published along with your name and clan tag. For more information click here. Subscribe to our newsletter to receive an email about our latest articles. Disclaimer: We are not affiliated with Supercell/Clash of Clans in any way. © 2019 clashpedia.com. All Rights Reserved.